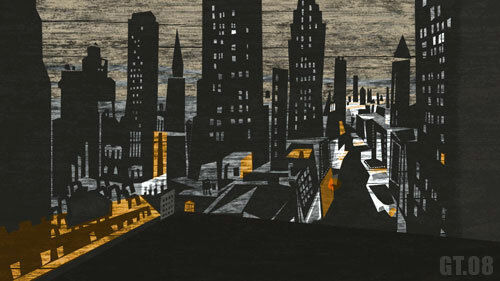 Background painting of a cityscape for a Flash project at UCLA. Created with Photoshop. I really enjoy this art style; nice, clean graphic shapes and minimal color usage.